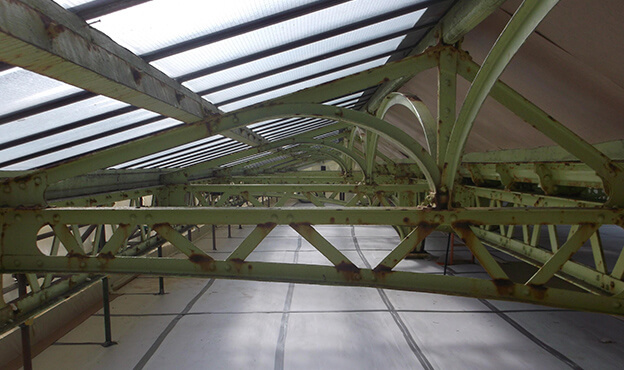 This grade A station required extensive canopy works, including replacement of part glazed Georgian wired glass, slate and lead works and repairs to the roof structure. 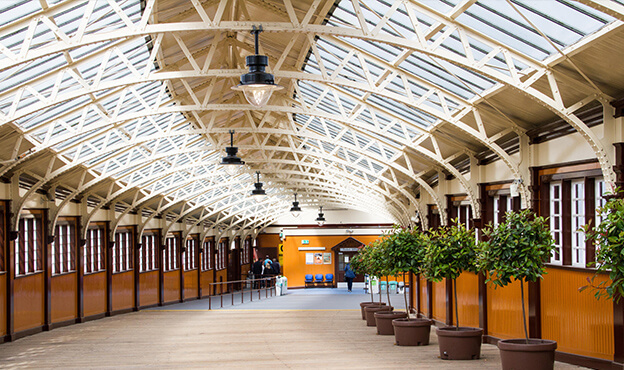 Spencer worked with various listed building and conservation bodies including the Friends of Weymss Bay Station community group to ensure the restoration works were completed to the relevant criteria and standards. Spencer installed a scaffold crash deck below the canopy while we worked to enable the platforms to remain open throughout the works, and installed a weather protection cover over the canopy, alongside OLE screening. We then removed the roof covering and blasted or hand prepared the steelwork as necessary (depending on condition of steel and paint). Any lead paint was removed in a fully encapsulated enclosure to prevent exposure to the local ecological habitat. We replaced sections of rotten timber before renewing the roof slate, sourced from just 60 miles away to ensure a good match, which was placed on new battens. We then refurbished the gutters and downpipes, renewed the leadwork and installed new roof access hatches to improve future maintenance to an aesthetically pleasing design (approved under listed building consent). The station was in a very poor condition due to the extensive effects of the stations coast location on its historic structure. Compounding this was a lack of maintenance due to access difficulties. Spencer modified the OLE system to facilitate improved isolations for construction and maintenance. 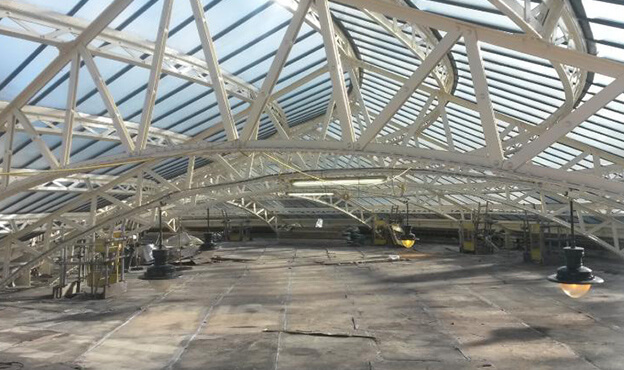 We maintained platform operations throughout by installing a crash deck during the roof works. As works progressed, further problems materialised, meaning painting could not be completed within the summer months. 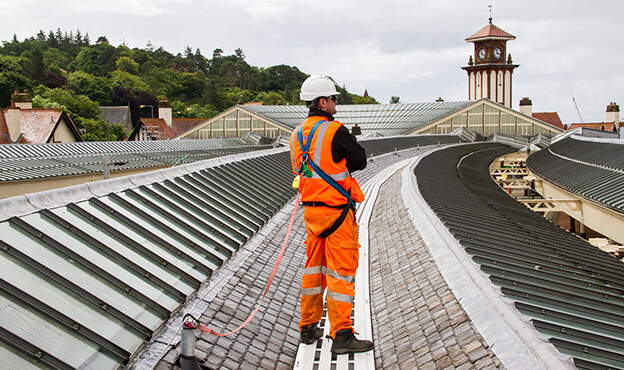 We mitigated the risk of delay by creating a heated enclosure to allow for an extended painting period over the winter season to reduce the construction programme. The intricate and sensitive works were completed successfully, resulting in ‘Best Entry’ in the National Heritage Railway Awards 2017.